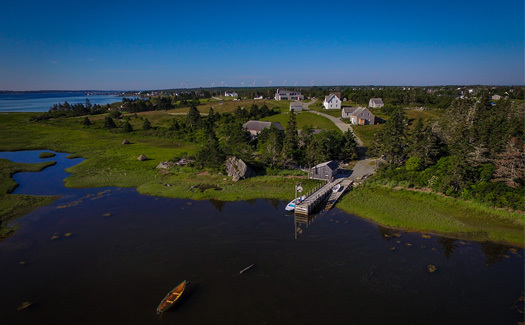 Located on a beautiful 17 acre site that overlooks the Pubnico Harbour, the historic acadian Village of Nova Scotia invites you to step back in time to discover the heart, life, and culture of the Acadians in the early 1900s. 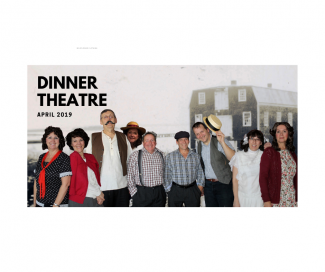 Reservations: The date to make reservations for the 2019 dinner theatre begins on March 11th, 2019.The doors will open at 6:30PM and the play will begin at 7:00PM. Dinner consists of a garden salad, with choice of rappie pie or seafood casserole, and dessert. Tickets are $30 each and members $28. Call 902-762-2530 for reservations and indicate the number of people in your group and choice of meal. 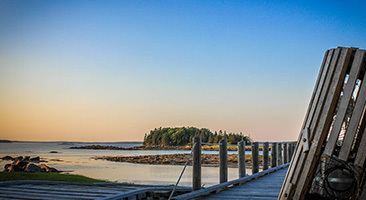 The Historic Acadian Village of Nova Scotia invites you to learn about the Acadians of Nova Scotia and how this unique and colourful culture survived the Deportation of 1755 to continue to thrive to this day. Viewpoint: facing northeast looking towards Pubnico harbour.